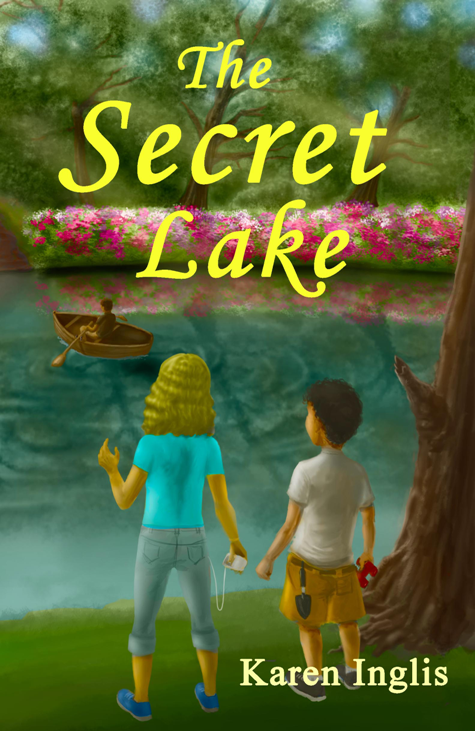 I’m Karen Inglis, the author of ‘The Secret Lake’. I live in Barnes, south-west London, England. 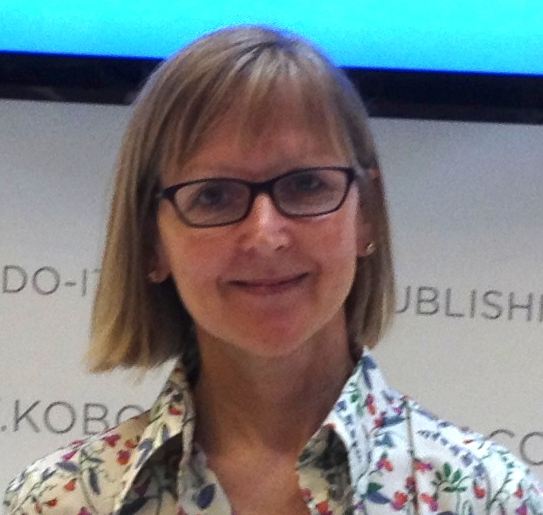 I spend part of my time writing for children and part of my time writing for business. By far the best bit is writing for children – I just love making things up! Of course, I was a kid too, once. In fact, I’ve dug out a photo to prove it! That’s me in the picture below when I was 12! 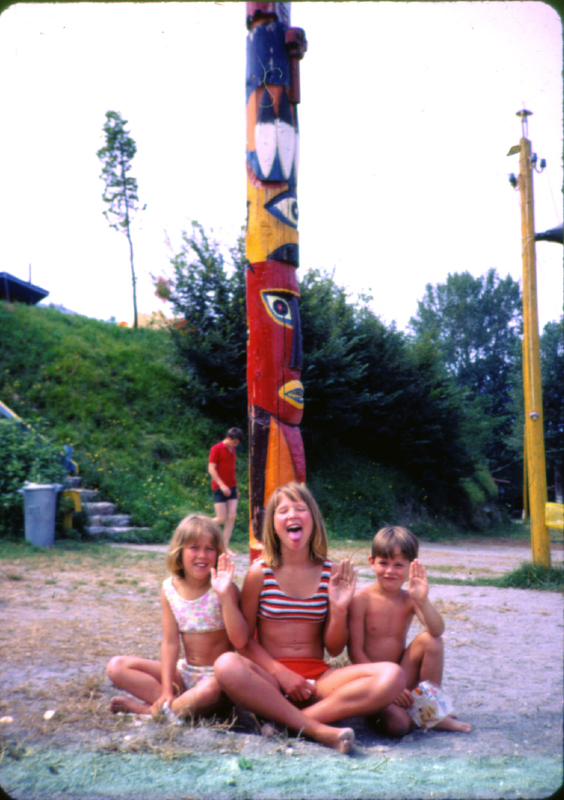 Me aged 12 in Italy with my younger sister and brother! ‘The Secret Lake’ was partly inspired by an apartment some friends moved to in Notting Hill many years ago when my children were knee-high. It backed on to the most fantastic communal garden that the little ones could get lost in safely – they had mini woods to play in and rhododendron bushes to hide inside. The story was also inspired by a beautiful pond up in Isabella Plantation in Richmond Park – the picture at the top of the screen is based on how it looks each May, when all of the Azaleas are out. If you’ve not been there, it’s really worth the trip – and it’s free to get in! The freedom children have to play in both of these very special places reminded me of my own childhood in Hertfordshire where I grew up in the countryside and we often would go off roaming for hours on end without our parents knowing where we were! I’ve got two boys – George and Nick. It really doesn’t seem that long ago that they were running around my feet causing all sorts of trouble. But now they are all grown up and students aged 20 and 22! They eat me out of house and home when they’re here…(and still sometimes cause trouble)!! It was George and Nick who inspired me to start writing for children so I really thought I should mention them. I hope you’ll enjoy reading the first few chapters of The Secret Lake – if you do you can order from any UK bookshop or via Amazon, Waterstones, Barnes & Noble and other online stores. It’s also available on Kindle and Kobo. To read about my other stories follow the links below to my main author website.